Enjoy contact with wildlife at the Coyuca Lagoon while riding a traditional boat, live the mystical experience of a Temazcal sauna, used by the aztecs to clean their souls. 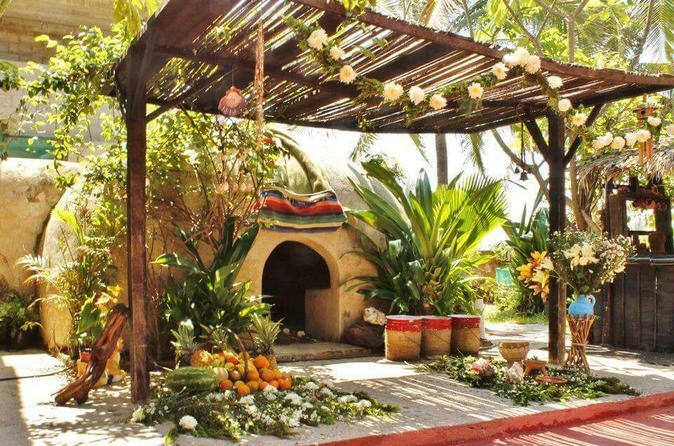 Be part of the ceremony to enter into theTemazcal and enjoy a typical meal and swim in the pool or beach. Your tour includes transport and a guide. Departing from your hotel/port at 9 am you'll head to Coyuca lagoon to embark on a traditional boat and tour the area, having contact with local wildlife and the fishermen throwing their nets. Then, head to the Temazcal`s place where you'll start a ceremony to ask Mother Nature for permission to enter into her womb (Temazcal sauna). Once there, you'll have an incredible feeling of returning to innocence as the Shaman performs a temazcal ceremony using copal (Mexican incense) and a handful of herbs to clean your body and prepare you to go inside the Temazcal. The Shaman will also sing hymns and chants to Mother Nature while you enjoy the cleansing temperatures inside the Temazcal. Lunch will be served after this and you'll have time to enjoy the pool and beach before heading back to your hotel.